ECRINS has been built on the Catchment Characterisation and Modelling (CCM) system developed by the European Commission’s Joint Research Centre (JRC) with a resolution of 1:250 000. The CCM has been completed with other layers with a resolution between 1:100 000 and 1:500 000. The geographical coverage of ECRINS goes beyond EU-27 and the EEA Member countries. 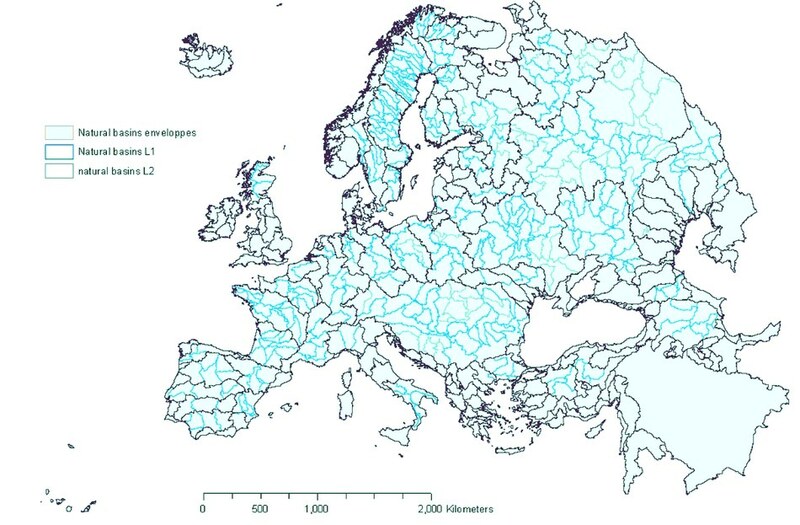 All of continental Europe west of the Urals, the Caucasus region and the Tigris-Euphrates river system is catalogued. It includes an improved catalogue of names, meaning that particular river systems with several local names may be easier to find. For references, please go to https://www.eea.europa.eu/highlights/ecrins-map-project-pinpoints-water or scan the QR code.